As the PhD in Management Program Director, Sandy Kolberg, PhD supervises core and contributing faculty to create a collaborative doctoral experience for the PhD Management students. She manages the design, instructional delivery, and strategic direction of the PhD Management online program. The position allows for problem solving, critical thinking, innovation and engagement in positive social change activities. Sandy received the 2014 College of Management Faculty Excellence Award and the 2014 Walden President and Board of Directors Award for Faculty Excellence and Positive Social Change. She was named the PhD in Management Program Director in early 2016. 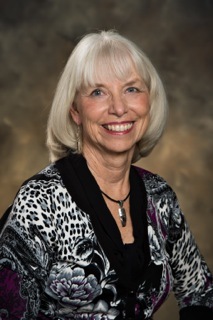 Sandy started with Walden in 2011 as a contributing faculty to the DBA program. She has mentored many doctoral students through their dissertation processes both at Walden and at previous schools, which include two award winning dissertations. Her expertise is in qualitative research. Her research interests are eclectic preferring rich designs that are on the edge in leadership, strategy, execution management, culture and values based decision-making. In 2013, Sandy was hired as Faculty Coordinator for the PhD in Management Program. which allowed her to capitalize on her business and leadership knowledge coaching and mentoring skills. And in 2016, she was promoted to Program Director for the PhD Management program. Although Sandy started her career in the field of education, she has had an extensive consulting and business management career path. She spent 15+ years in business, sales and executive management. She owned a private consulting firm for 27 years specializing in creating team environments, conducting strategic planning and implementing execution management programs into organizations. Sandy was an early online education adopter and helped create and implement a fully accredited online organizational leadership and management program for another university. Sandy has held a number of board positions. Of note for social change Sandy holds an Executive Board position for the Phoenix Metropolitan YWCA, which advocates for women in all sectors of their lives. She is also supports the Women Seeking Wisdom 501c3 organization helping under supported women in Africa develop sustainable leadership skills to start micro businesses within their communities. Kolberg, S. (2016). The Road to Character. Journal of Psychological Issues In Organizational Culture. Newcomer, J., Kolberg, S., Corey, J. M. (2014). Leadership Development: A senior leader case study. . Air and Space Power Journal. Lisa, B., Kolberg, S., Marabela, J., Roter, A., , . (2013). Are rational self-interested leadership behaviors contributing to the workplace bullying phenomenon in Canada and the United States?. American Journal of Industrial and Business Management, .